NI Parcels provides fast, reliable and affordable courier services throughout County Down. Whether you’re a Lisburn based business shipping products internationally, or an individual who needs a parcel collected from Newry ASAP, we can help you save time and money with our great delivery service. Quick and easy online booking and payment. Door to door parcel collection and delivery to all County Down addresses. No set size or weight limits – great prices for heavy items. NI Parcels is a courier service which you book and pay for online. It takes just a few minutes to complete your order and it’s pay as you go, so there are no bills or invoices. There’s no complicated process when it comes to setting up an account with us. Whether you’re a business or an individual, we can help. All you need is an email address and a password and your good to go. Once you’ve placed your order, we do all the rest of the work. We offer an extremely convenient door to door parcel collection and delivery service to all County Down addresses; we serve homes and businesses. We use a network of top couriers to carry out our collections and deliveries. We have secured great low rates with these carriers, which include: Parcelforce, DPD, City Air Express and Captain Courier. We pass these amazing low rates on to you, which means you get the same high quality service that these couriers are known for, but a fraction of the price. You can get a quote any time on our homepage. We know that speed is a huge factor when you’re sending a parcel. Regardless if you’re sending just across town, or to the other side of the world, you want your shipment to arrive FAST. NI Parcels provides amazing fast delivery times, with same day collection available (if booked before 10am) along with same day delivery, on certain routes. We have great next day delivery services for NI, Ireland and the UK. International delivery take between just 1-5 days depending on your route. Get a quote on our homepage to see delivery times for your parcel. 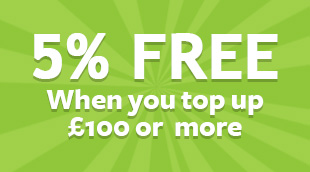 NI Parcels provides £50 free compensation cover on every item sent with us. You can increase this amount if you wish, for a small additional fee during booking. Before choosing your compensation, we recommend reading through our list of prohibited and non compensation items to ensure your parcel is covered. NI Parcels delivers to 200+ countries worldwide at amazing low prices. We have great international delivery rates for larger items over 5kg. So, whether your business is exporting internationally, or perhaps you’re sending a gift to a family member living abroad, we can help ship your parcel across the world. Of course, the best thing about NI Parcels is that we have amazing cheap prices. Our rates are especially competitive for large items, over 5kg. 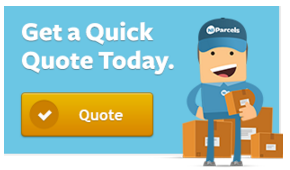 You can get a quote for your parcel delivery any time, on our homepage.